The BBC is absolutely committed to impartial and balanced coverage on this complex issue. Paul Matthews,who is on holiday, draws our attention to this article on the BBC site. I could have added a link under my last article, but it seems important enough to quote in full, and to give it the maximum publicity. Commenters please note, there are now two different though overlapping subjects under discussion: the attempt by the mainstream media and the scientific “establishment” (New Scientist, Brian Cox..) to eliminate non-specialists like Lord Lawson from the debate; and the defence by the BBC “establishment” of traditional values of press freedom. Some listeners complained that Lord Lawson was an inappropriate choice of interviewee to talk about climate change issues, that he made factually inaccurate statements and that we did not challenge him sufficiently on some of the points he made. “The interview with Lord Lawson was one of a number of items on the 10 August programme about climate change. Before 0700 we spoke to our environment analyst about the science. We had a long interview at 0709 with Al Gore who was talking about his new film, the US Government’s approach and the global effort to tackle climate change and we heard from the filmmaker, Fisher Stevens, who directed the 2016 film ‘Before the Flood’. 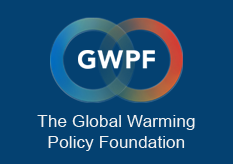 Like Mr Gore, Lord Lawson has been a frontline politician and since leaving office he has gone on to take an interest in this area as chairman of the Global Warming Policy Foundation. In the interview our aim was to focus on the subsidy regime and Mr Gore’s claim that there are policy makers who do not “join the dots”, and Justin Webb challenged Lord Lawson in both these areas. The next morning we fact checked the claims around levels of subsidies for renewables and fossil fuels and we ran through the latest scientific evidence on extreme weather events and the links to climate change. We appreciate that listeners may disagree with the position Lord Lawson takes on this issue, but his stance is reflected, for example, in the current US administration which has distanced itself from the Paris Agreement. As we pride ourselves on hearing opinions from all sides on Today, we are confident that we gave listeners the context and facts to make their own minds up about the views expressed.